I found a free model, modified & animated it, brought it into UT4 as a new stinger model. All changes are cosmetic only. Damage, ammo etc. are same as current stock stinger. 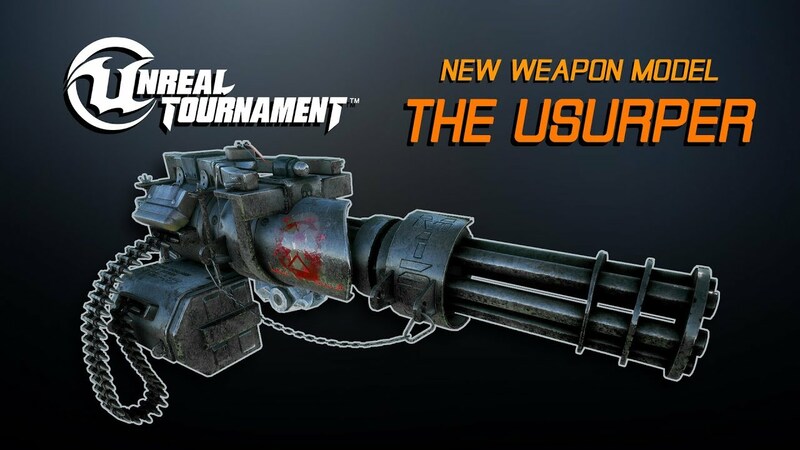 Add it to game using the weapon replacement mutator. Since it's only cosmetic replacement based on stinger minigun, it doesn't require ammo replacement &amp; works with stinger ammo. Note: This soon will be added to Phantaci's weapon skins mutator as a skin as well.